These words came to me this morning as I was chatting with a friend. I thought, Wow, where did that come from? And it is so true right now. It seems I’ve been on the road and barely connected for three weeks or more now, and I woke up this morning feeling a little down, a little sad, a little overwhelmed. I went outside and said hello to the morning, knowing I needed to go within, and all would be well. I put my feet on the earth, and just sat and absorbed some sun filtering through the leaves. I’m still faced with a bit of packing, a lot of loading, loads of uncertainty, miles of driving, and who knows what else, as I make my way back out to Pagosa Springs. As I sat, trying to listen instead of thinking for a moment, something very powerful slipped into my awareness. I began to see and feel a procession, a gathering, of all the friends I enjoy: all the loving hearts I know personally, no matter how physically distant they may appear. And with every face or name that arose, I lost count (thank goodness), and felt in awe of how much power that – seemingly tiny – bit of knowledge – connectedness – wields. So I’m moved to share this brief post, in gratitude, just to say thank you. Thank you for entering my life, and for returning from time to time… usually just when I’m craving contact. Thank you for showing me – proving to my sometimes stubborn resistance – that this world is a glorious magical place, in which people appear like dreams to walk with us. Thank you for being brilliant, each in your own ways, for inspiring me and opening my mind. Thank you for journeying with me – I am deeply honored. Side-note: As I went to look for an image to add to this post, I was guided to a picture I took late last year of a small Chinese carving of a moose, that a friend has in her home. I had no idea why… until I found this explanation at www.in5d.com. 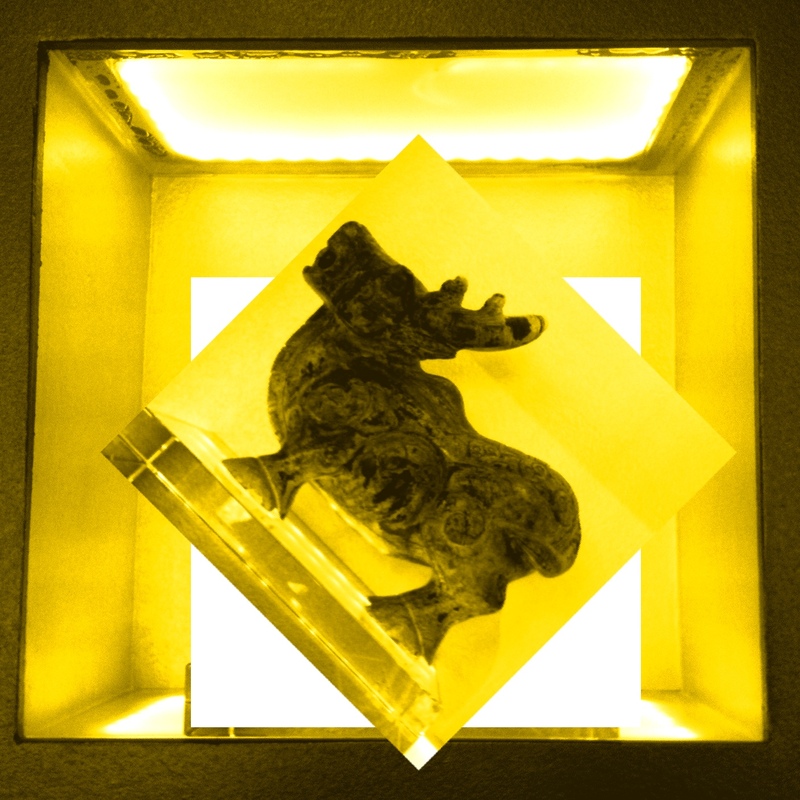 I think I understand the “why” of the golden color, but I’ll await your insights as to the possible meaning of the moose being rotated into a diamond shape… at least it’s looking upward! Magic of life and death, sacred energy is opened, camouflage self, conceal ideas/thoughts/actions until the appropriate time, life is awakening and moose will acknowledge the truths that are needed by your spirit. Aids in moving emotions for awareness, teaches strength, wisdom and patience. Moose gives you the ability to move swiftly but silently with wisdom. Are you being gentle with yourself? Do you need to more graceful and humble or speak up more? Moose will show you balance along with how strength can be found in gentleness and how to deal with situations. Our powerful moose cousin is a symbol of courage and determination. Those who know the moose spirit proudly walk with grace and have universal knowledge. The power of their presence is awesome and inspiring. Moose calves are born with their eyes open. Those who follow the moose medicine see life situations with clarity and can see into the beyond. The moose’s huge antlers protect it during battle and represent the tree of knowledge. This teaches us to shield ourselves from life’s many adversaries with truth and spiritual understanding. The adult male can stand over 7 feet tall and weigh 1,200 pounds. Its size and lumbering appearance is deceiving because the moose is agile and fast. Moose spirit guides bring these same qualities to the individual who seek their wisdom. Despite its great size, moose can camouflage itself very well and can move silently and quickly through its terrain. This teaches us ways to become invisible when necessary and not allow our powerful presence to become overbearing to others. The bellow of the male moose can be heard for many miles. This trait shows us that our great presence can be known to all when necessary. The appearance of the moose is both awkward and graceful at the same time. These traits are translated in human terms as instruction in ways to be gracious and relaxed in our dealings with others. Moose have a keen sense of smell and hearing. The spirit guide of the moose will often bring messages of future events yet unseen. The sheer power and strength of the moose is tremendous. Those who walk with the moose know the value of good self-esteem and quickly discover their walk in life.